This book’s title is a bit misleading, and not in a bad way. 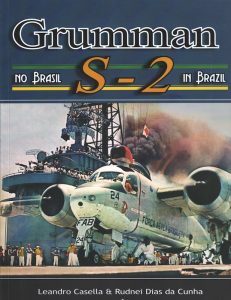 Even though it documents the history of the beautifully ugly Grumman S-2 with the Força Aérea Brasileira -FAB, in the first chapter, excellent aero-historians Leandro Casella and Rudnei Dias da Cuhna deliver a rather impressive summarization of the origins, variants and operational career of the type with the U.S Navy, followed by a quick look at its foreign operators, including Argentina, Peru, Uruguay and Venezuela. Then, the authors delve into the political background and inter-arm intricacies that resulted in the acquisition of the S-2 by the FAB, creating an unprecedented case in which an anti-submarine aircraft would be operated by an air force, from a Navy’s aircraft carrier! Next, they cover the history of the Minas Gerais, the aircraft carrier from where the Trackers would operate, since the ship’s construction until the Brazilian government acquired it. 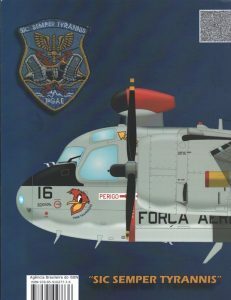 From then on, the authors present us with an in-depth study of the Tracker’s service life with the FAB, including the creation of the 1º Grupo Aéreo Embarcado or 1º GAE, which was the FAB unit that operated the aircraft, as well as the type of missions the aircraft flew, both from land and sea, the armament that they carried, and the combat exercises in which they participated along with other South American naval forces. 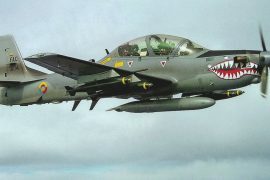 Additionally, the technical information is not overlooked and, in simple language, the authors explore the Tracker’s many complicated systems and equipment, as well as its flight characteristics. 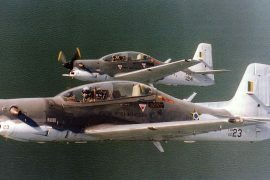 Another part is dedicated to the ill-fated attempt to convert the S-2s to Turbo Trackers by installing on them Pratt & Whitney PT6A-67AF engines. 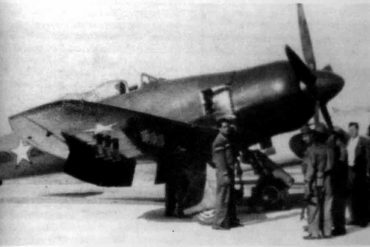 Then, to top it off, there’s section that lists the individual history of each Tracker that served with the Força Aérea Brasileira, as well as their serial numbers and final fates. Rich in anecdotes, adorned with seldom published photographs and detailed color profiles, this book follows the footsteps of the authors’ previous masterpiece about the P-40 in Brazil and, even though it is a self-publishing effort, it has the looks and quality that we usually find in products from high-end publishers. Without a doubt, Casella and Dias put forth a significant amount of time, energy, and attention to details in order to come up with a truly memorable book. 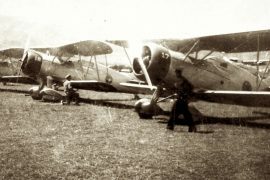 As it has become a norm for the authors, the book’s text is in Portuguese and English, making this great historical effort a must-have for enthusiasts and aero-historians around the world. To order your copy, drop an email to the authors or visit their Facebook fan page. Conveniently, they accept payments via PayPal. US$18.00 plus shipping and handling.